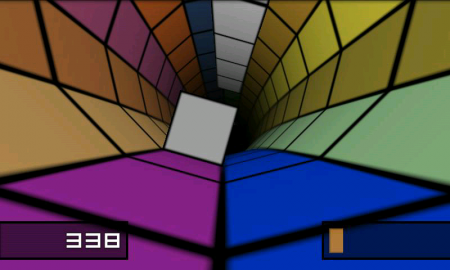 Speedx 3D is an incredible 3D accelerometer driven tunnel racing game. 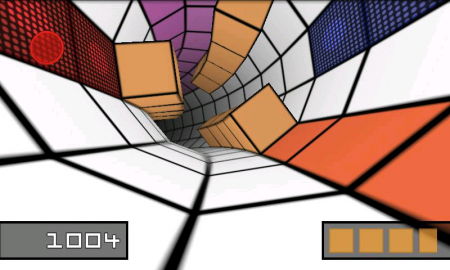 As you race through the tunnel you collect shields, use power ups, dodge spikes and pillars. Best of all if you have some 3D glasses from a children’s book you can activate 3D mode and nearly throw up on your desk from motion sickness. The game uses the built in accelerometer in your device so some older devices may struggle to control the game properly. The game also has support for Zeemote bluetooth controller so you can control it with one of them instead. Go get it now as it is free and great fun.